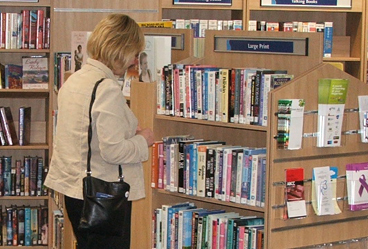 If you live, work or study in South Lanarkshire, there are 23 libraries with free wi-fi access and a mobile library, where you can borrow books, learn or just relax. You can also discover the history and heritage of your local area or research your family tree and discover your own hidden roots. Or how about visiting our ActiveIT computer learning centres to use the internet, email friends or family, or even pick up a new skill? 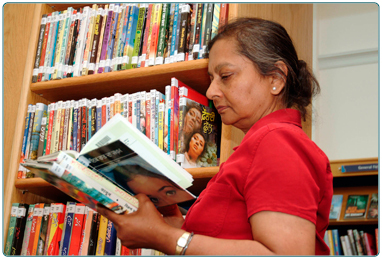 Download the library app - the smart way to visit your library! 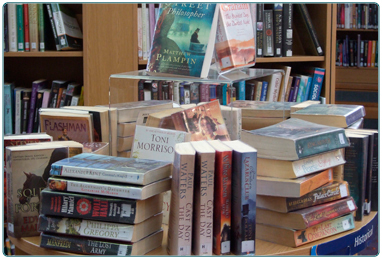 Avoid fines by renewing your library books directly from your own smart device. Use it to check the location of an item you'd like to borrow. You also can scan the isbn on the back of a book to find out if you could save money by borrowing it from your library rather than buying it, and the app can even give you directions to the library. Download the app using the QR code displayed in libraries or go to www.yourlibraryapp.co.uk/southlanarkshirelibraries and discover all the app can offer. Discover the latest bestsellers, find out about new authors or just look for some old favourites. 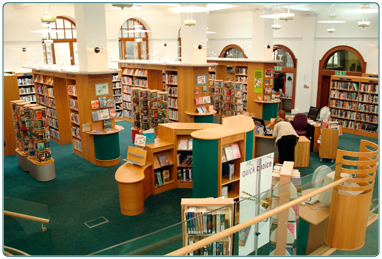 Using the South Lanarkshire Leisure and Culture library service is free. Some of our enhanced services and facilities are however chargeable.